Bald head and a bar code can only mean one thing. He’s back! The bald man who breaks necks. Nice. Hitman is definitely a game changer when it came to the stealth genre, being able to kill people in such a way that made it look like an accident and getting away with it scot free was pretty much the basis of the game and mate, I can safely say, it rocked the proverbial socks off the gaming world. Originally on the pc and then ported to consoles after doing very well, it quickly became a household game and there were sequels and even a film about Agent 47, the protagonist of the game. 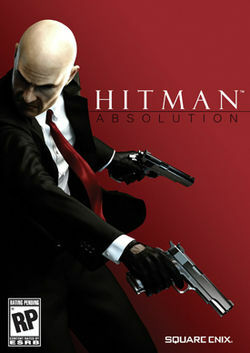 Welcome Hitman Absolution. The latest in the franchise and it looks like a solid competitor for the stealth genre of today, which has been lacking in recent years but there you go. Only time will tell if this will be a game to remember or one you use to hold your cup of tea on in the morning. This entry was posted on May 12, 2012 by mrbig1991. It was filed under News and was tagged with Agent 47, baldman, Hitman, Square enix, Stealth.